Horrified over his successor Ashraf Ghani’s “unthinkable concessions” to Pakistan, former president Hamid Karzai on Tuesday warned that Afghanistan was in danger of sliding under “Pakistan’s thumb”. “We want a friendly relationship but not to be under Pakistan’s thumb,” the 57-year-old former president said. Mr. Karzai, who was president for 10 years till Mr. Ghani took over in September last, also slammed his successor’s decision last month to send six army cadets to Pakistan for officer training. “We should not send troops for training in any neighbouring country when they are sending us suicide bombers in return,” he said in reference to the fact that the leadership of the Taliban and much of the movement’s organisational and logistical muscle is allowed to operate freely inside Pakistan. 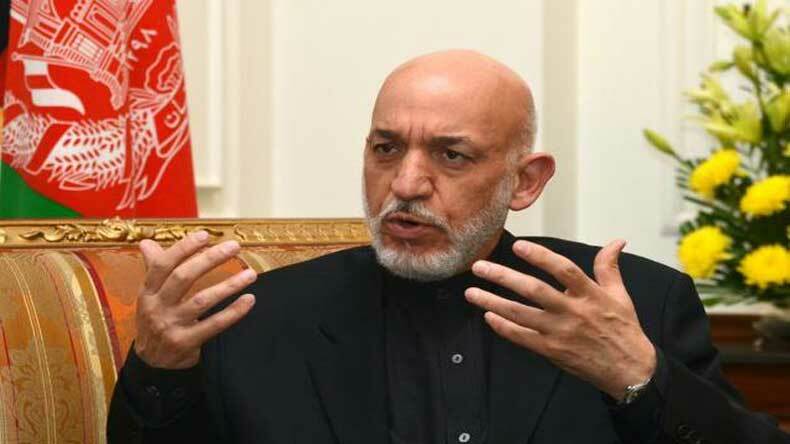 Afghanistan’s historic struggles against British imperialism and Soviet invasion will go in vain if the country succumbs to pressure from neighbouring Pakistan, Mr. Karzai said in an interview with the British daily Guardian. Mr. Karzai’s willingness to send Afghan officers to India while spurning Pakistan has enraged Pakistan’s generals, who believe the future leaders of the Afghan army were being indoctrinated by their “mortal enemies”. The former Afghan president’s remarks come at a time when his successor Mr. Ghani has overturned the country’s traditionally hostile relationship with Pakistan in the hope of enlisting its help in brokering a peace deal with the Taliban. Several “once-unthinkable concessions” made to Pakistan in recent months have horrified Mr. Karzai and many of the men who helped him rule for nearly a decade, the paper said. Mr. Karzai’s associates have also spoken about their anger at Mr. Ghani’s Pakistan policy. Rangin Dadfar Spanta, a former foreign minister and national security adviser, also slammed Pakistan saying, the new government’s policy amounts to the humiliating “appeasement” of a hostile power who would never change its ways. He expressed alarm over Mr. Ghani’s effort to keep India, the region’s superpower, at a distance. In a sign of Delhi’s displeasure, work has already stalled on some key Indian-backed development projects in Afghanistan, Mr. Spanta said. India has invested USD two billion in aid and reconstruction and trained scores of Afghan officers.